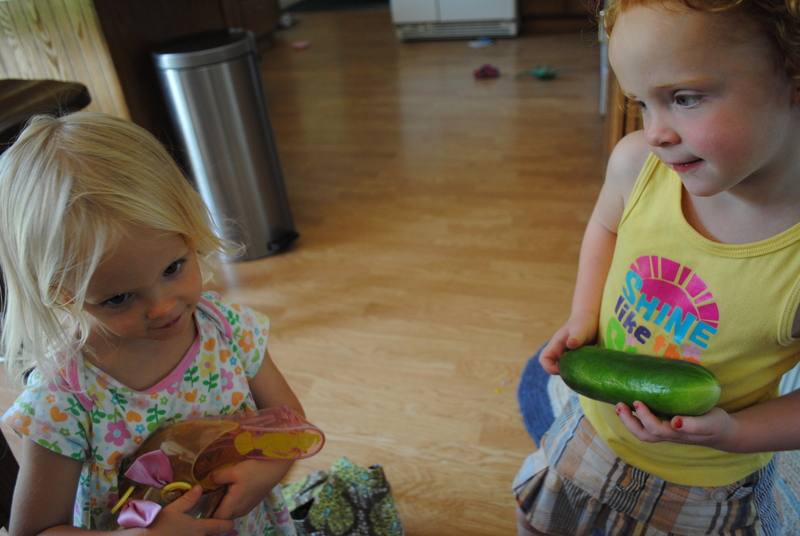 Cucumbers are one vegetable that both girls LOOOVE to eat. Having some ranch on hand doesn’t hurt either. They have always loved them- peeled or not. 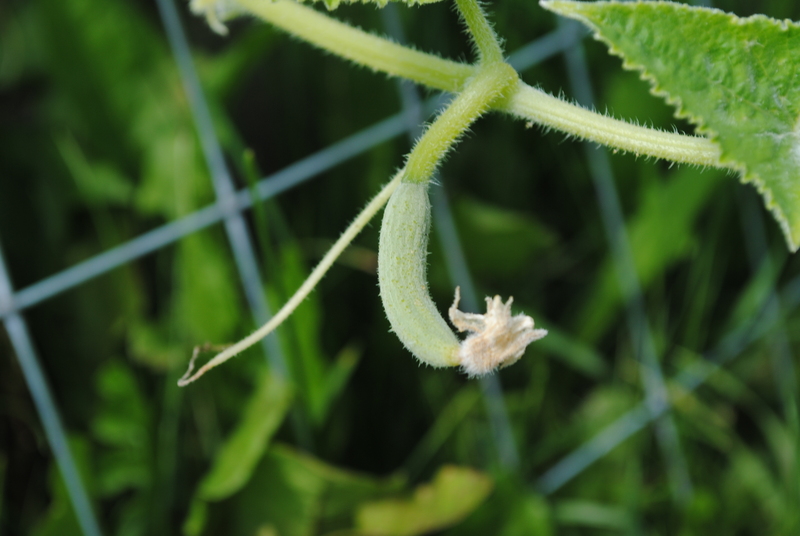 We lifted a big leaf from the cucumber plant yesterday and to our surprise discovered this ready-to-eat cucumber. 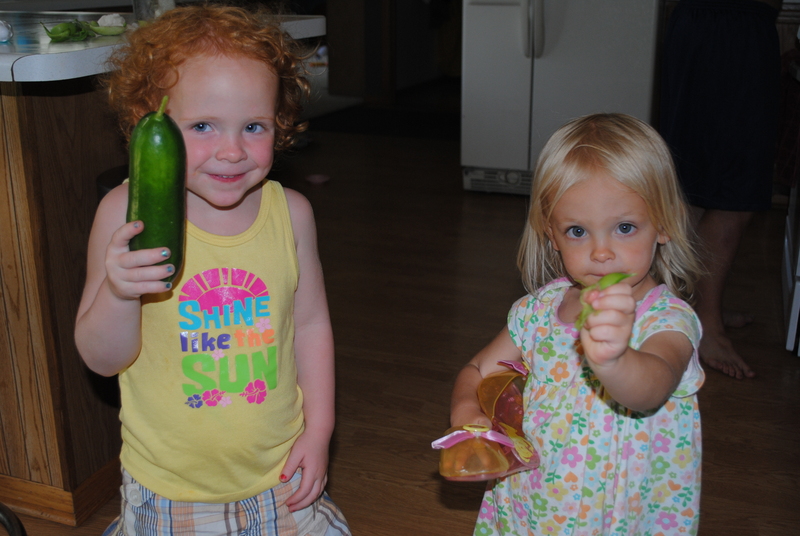 It is amazing how different things taste coming from our garden than from the store. There is no waxy substance, no hidden bruises, no bitterness. 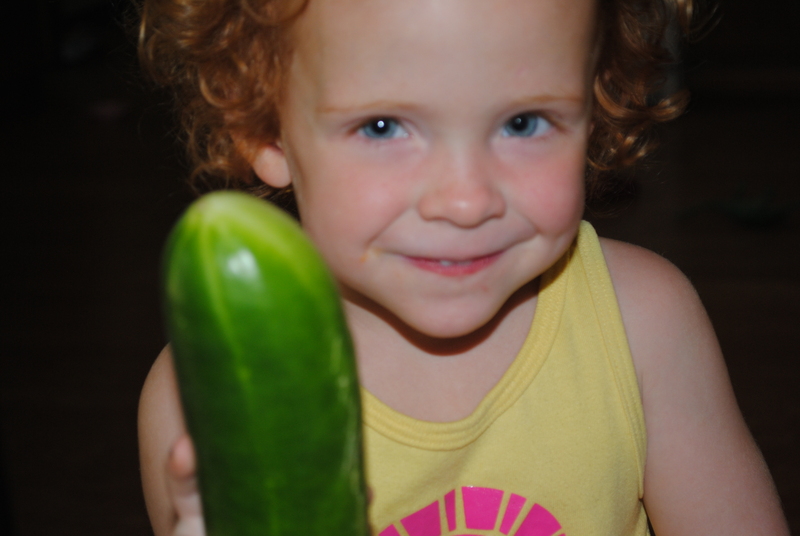 Aleah was quite excited and carried the cucumber around the house like a baby. We have a few that are almost ready to pick, can’t wait to eat them. I love the meals that come from our garden.